After the finish of Rally Sweden, a big discussion broke out. But what had happened? Sebastian Ogier delayed his start at the last stage, which is a Powerstage, to gain a competitive advantage to be able to secure 5 bonus points, which are rewarded for the fastest time. In the process, he lost his 10th position and 1 point, but got it back, because his teammate clocked in late at the next time control. As it looks the organiser of the Rally put him behind two WRC2 cars to avoid interfering with the podium presentations, why Evans had to clock late, too. Everything was according to the current rules. However, some fans called it cheating. This situation is just the iceberg of a deeper issue in the current ruling of the WRC. The real issue is the starting order, which caused the interesting interpretation of the rules in Sweden. At the moment the leader of the Championship is starting first on the road on Day 1 with reversed starting order of the Rally on Day 2 & 3. With the majority of Rallies in the Championship are gravel Rallies it could be said to be first on the road is a disadvantage due to the sweeping effects and the time loss involved. With the time loss, many front runners find themselves down the order on day one, resulting to be front runners on the next day, too. Why was this rule introduced? Starting order in the WRC has been always controversy. 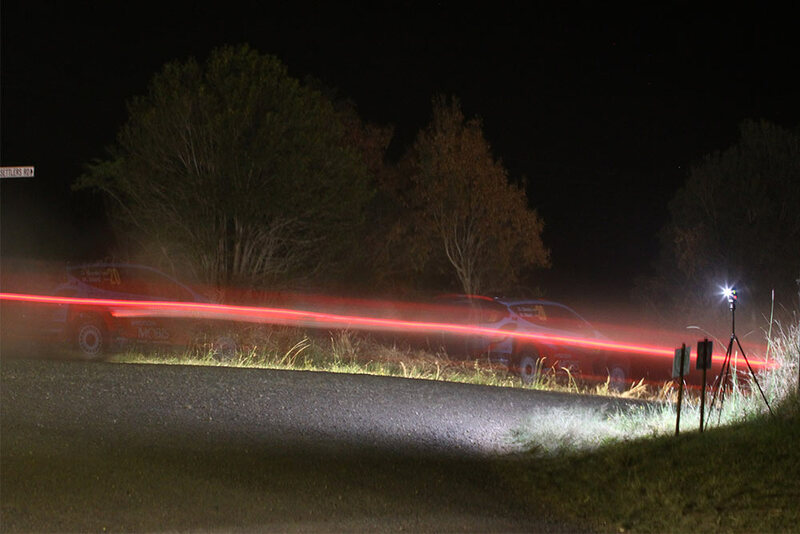 Before 2011 it was common to slow down on Saturday to gain a better road position for the final day on gravel Rallies. Cars just parked before the stage end. Therefore, all drivers supported a solution to have four runs at the shakedown with the fastest time selecting the start position, second the next and so on. This was a really good solution, similar to draw your starting position. It is Motorsport and the fastest should have an advantage, as in many other Motorsport categories, like F1, WEC, DTM, MotoGP. In the year 2013 VW appeared in Rally. Out of the blocks the team was dominating the scene with winning 76% of all Rally’s in their first year, followed by 92% in 2014 & 2015 and 64% in their last year 2016. The dominant force in Rallying Citroën just achieved 76% as it best ever. Of course, this made the series predictable and boring. As a result, the ruling body of the WRC changed back to a set starting order. It ended with the Rally leader opening the first two days with the third day starting in reversed order. Even cars starting under Rally 2, which means they retired before due to a crash or technical issues, were banned from the opening the road and put behind all regular running WRC cars to avoid any sweeping effects. That meant the leader of the championship had to be first on the road for almost 70-90% of a Rally. The competitive miles on Sunday are around 50 km out of 350 km. Figures are just for indication. That left the front runners with most likely a bad start position again on Sunday due to the reversed starting order for the day. With this starting order, the Championship leaders were participating at Rallies knowing that they would have no chance to win it or to be on the podium at least. What caused the situation in Sweden? As explained the starting order is affecting the times. However, there is another point to the story. When the Powerstage was introduced it was for one reason; to give drivers an incentive to still drive fast on the last stage and not just holding a position. It was a good idea, with advantages and disadvantages. But in general, it was a good idea with 3 Championship points awarded for the first, 2 for second and 1 for third fastest driver. But again, more action and more drama was needed, which why the points were increased to 5 in 2017. Points are now awarded till 5th place. Considering the 25 points for a victory, driving all three or four days, 5 points equal 20% of that for just one stage. It is 28% when compared to 2nd, 33% to 3rd and 42% to 4th and 50% to 5th. That shows the value of the Powerstage in the current WRC format. Winning all 13 Powerstages will secure 65 points in total. The number underlines how important the Powerstage is these days. Now it needs to be considered that you will lose positions when going late into a time control. The penalty is 10 seconds for every minute. After 30 Minutes the car will be excluded from the Rally. To gain an advantage the car needs to sacrifice positions. Position 8th rewards 4 Championship points. Mathematically it does not make sense to lose 4 points to gain 5. Therefore, a repeat of the situation as in Sweden will be most likely not happening. In addition, the driver needs to convert the better road position into a good result, which is not a given. Motorsport has rules. To play inside the rules frame is just smart thinking. Teams, manufactures, drivers will be remembered for winning Championships, and measured, too. Everything else is secondary. If people do not agree with it, that’s a different story. This entry was posted in 2018. Tagged fordperformance, m-sport, msport, ogier, rally sweden, rallying, seb, sebastian ogier, sebogier, wrc, wrc starting order.